In his time far more influential than Karl Marx or Charles Darwin, the American land economist Henry George (1839 – 1897) was regarded as the guiding hand behind many worldwide radical social movements of the late 19th and early 20th century. Yet today he is largely forgotten. Alfred Russel Wallace, Darwin’s co-equal in advancing the principle of natural selection, and later founder of the Land Nationalisation Society and ardent radical, thought that Henry George’s inspirational book, Progress and Poverty (1879) more important than The Origin of Species, the former selling millions of copies worldwide. 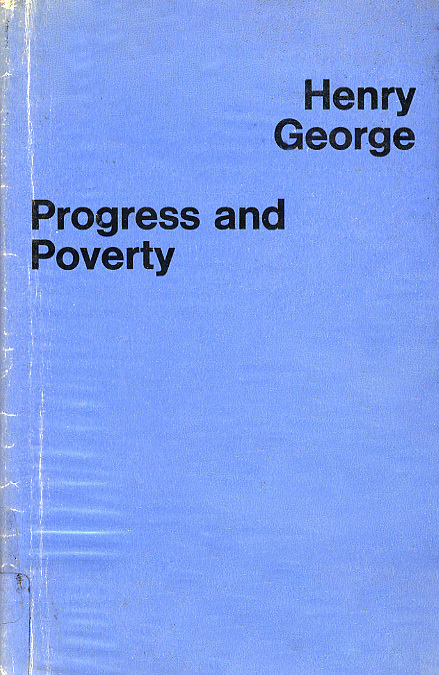 Researching the story of land colonies and experimental communities in Essex over the past century, I discovered Henry George’s name and influence proclaimed in almost every letter, pamphlet or book written in support of the ‘back to the land’ movement and other radical social initiatives. William Morris was a great admirer of George, as was, along with Wallace, Ebenezer Howard, George Bernard Shaw, George Lansbury, Joseph Fels, the McMillan sisters, and many other pioneers’ of ‘New Life’ movements, including Tolstoy. In America his influence was even greater, and he is regarded as the father of the ‘Progressive Era’. There would be no garden city movement without George, nor any tradition of – or aspiration for – agricultural self-sufficiency. Even contemporary notions of the networked city or the advantages of clusters were first outlined by George in his praise of city density and its reciprocity in trade and cultural life, alas too often undermined by unregulated land values. We know from the punitive price of land in towns and cities today, that many forms of social architecture or provision – let alone experimental forms of community building – are no longer feasible. Only the rich can now live in many parts of London, and everybody else is being squeezed to the margins (and in some disgraceful instances required to move to another city in order to continue to receive housing benefit). It doesn’t have to be this way. Ebenezer Howard’s garden city model – as at Letchworth – is based on buying and holding the land in trust, so that all increases in value are captured and used for the common good. Community land trusts are a start. So would be a more judicious use of planning regulation to encourage more experiments in communal freehold, along with the cross-subsidy potential of mixed tenure, mixed income development. Meanwhile local authorities are being quietly asset-stripped of much of their property and land portfolio, whether in housing, education, libraries and leisure facilities, all now being edged into private ownership. Parks are the latest example, as can be seen in the current Select Committee enquiry into The Future of Public Parks, which raises the possibility of privatisation. The land question is back with a vengeance, and a renewal of interest in Henry George and his ideas would be a cause for celebration. Please note: the second edition of The New English Landscape will shortly be out of print. There are a few copies left and still available, but not for much longer.